It’s officially Fall and most of us could not be more excited. There’s so much to enjoy. Of course, the summer was great for light linens and airy fabrics, the rich textures of Fall are something to look forward to. Furthermore, besides snuggling under cozy blankets, doing so besides a warm crackling fire is what really sets the ambiance. Imagine lounging on your couch on a chilly night with a warm cup of tea and a good book in front of a warm fire. That is bliss. 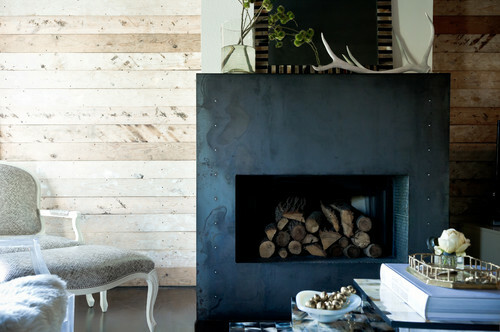 Take a look at these gorgeous fireplaces that you will surely get inspired by this Fall. 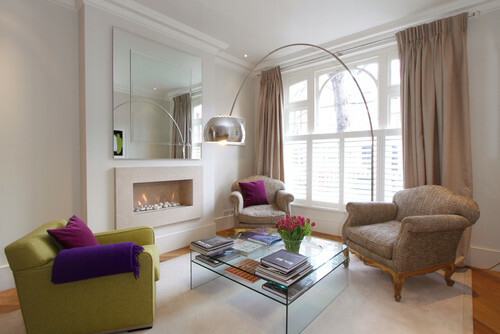 While brick fireplaces are more commonplace, we love the idea of having a circular fireplace be more central to a room. It’s a different and a more modern approach to a classic home accessory. 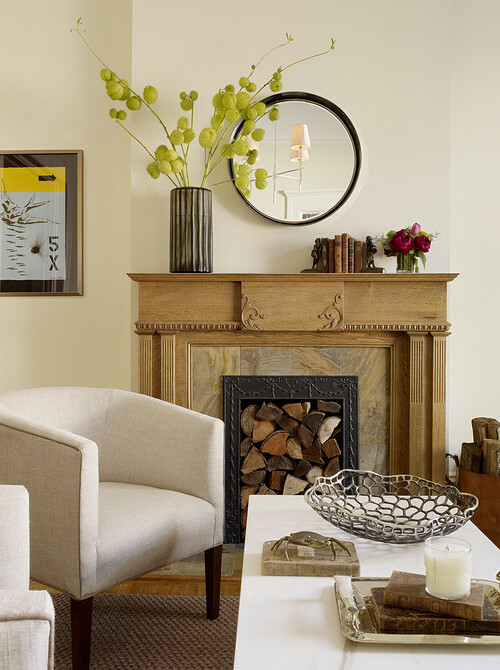 Instead of keeping fireplaces monotone, a two-tone detailing adds depth and makes a great accent to any room. 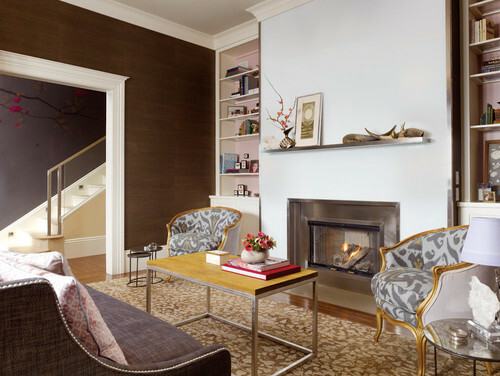 Not all fireplaces need an old-timey feel. 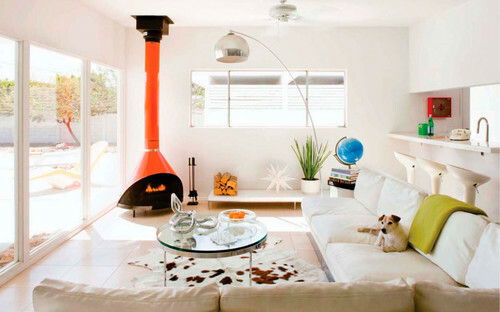 A more modern approach is to keep it classic and simple with an all-white color. 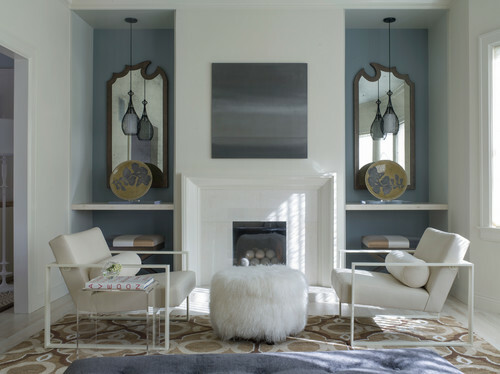 This metallic fireplace seriously adds a luxurious feel – especially when paired with a textured or patterned rug. Who says Fall and Winter have to be dreary? 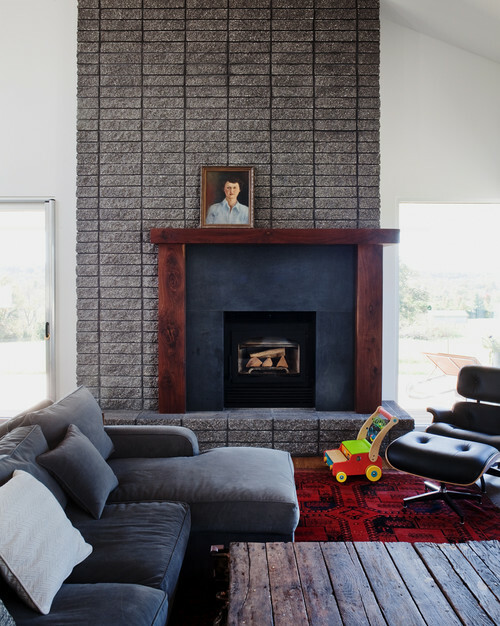 This post modern interior with pops of color are better than vitamin D.
This cast iron fireplace adds an industrial touch to this woodsy interior. It’s small but the perfect living space accessory. You don’t only have to have a fireplace in the living room. 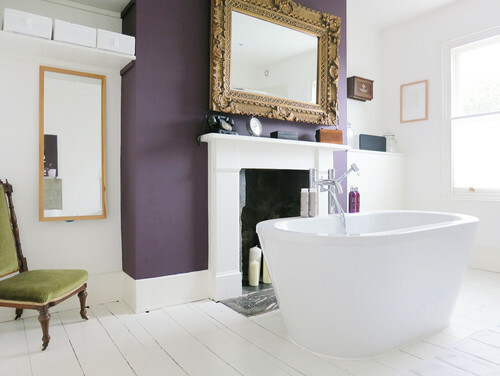 Wouldn’t walking out of a shower or bath in a toasty room be so much better in the colder temps? The mint green in this living room is leaving us starry eyed. Don’t have a working fireplace? No problem! This candle idea may not be as warm but grants a similar effect. Who says luxe has to be opulent? All white is elevated by varying textures – from the piping to the fur ottoman. 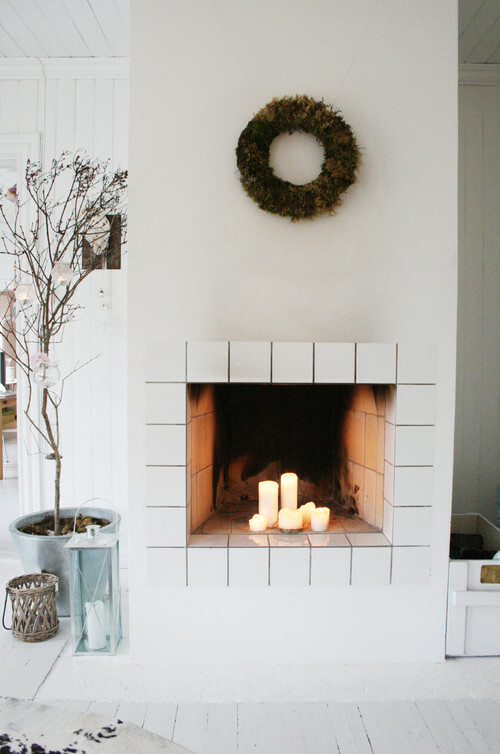 The fireplace is not only a great focal point but a great place to put props. The classic, rustic vibe is heightened thanks to accessories. In addition, this is another great example of non-working fireplace use. 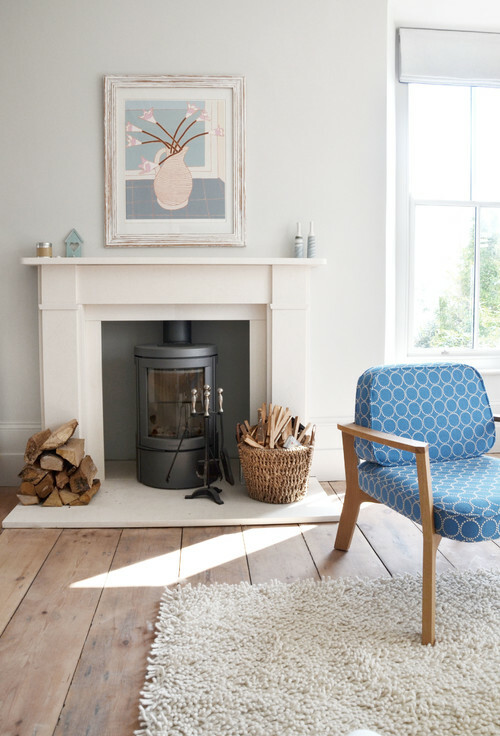 Keeping shapes minimal can update any room – making it modern and functional. 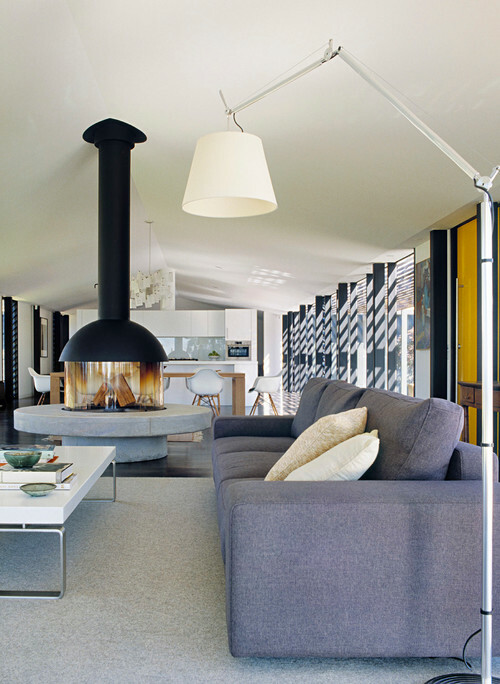 Which of these fireplaces it your home the most?